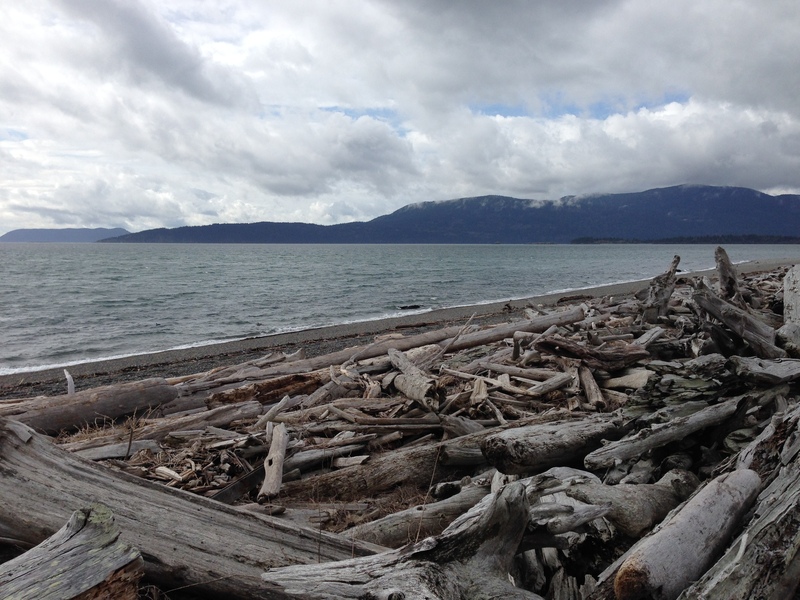 Lummi Island A Pacific Northwest Travel Destination! 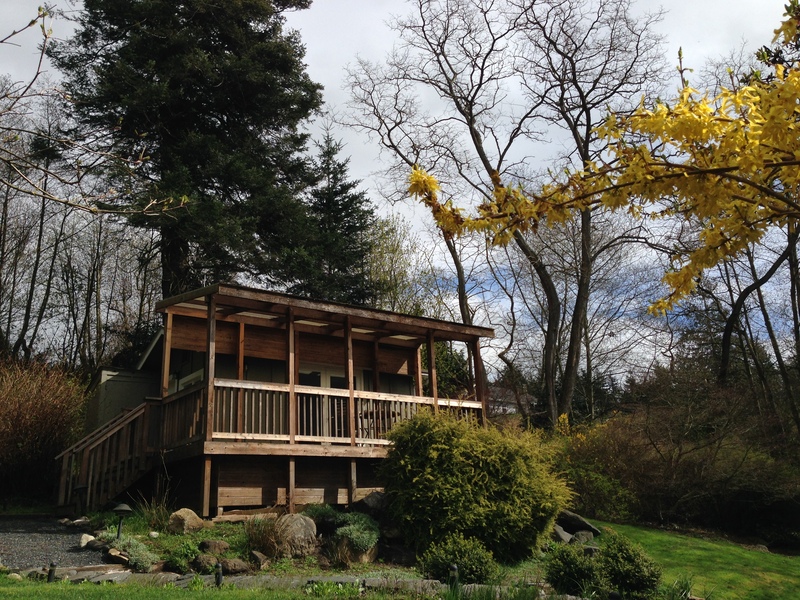 Looking for a great escape in the Pacific Northwest? Just north of Seattle, and south of Vancouver, Canada, you’ll find one of the San Juan Island’s best kept secrets. 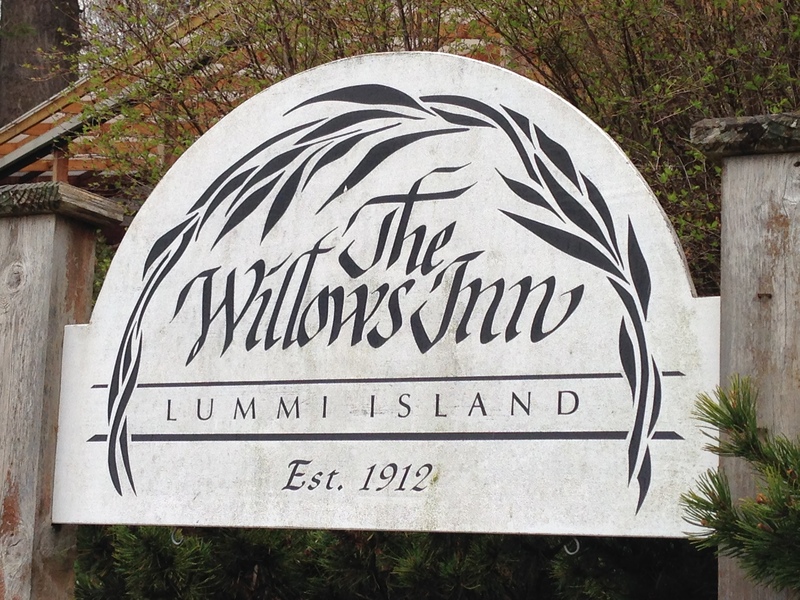 Tranquil Lummi Island has only 800 residents and is home to The Willows Inn, a perfect getaway anytime of year. We had 48 hours on Lummi to discover this island’s natural beauty and culinary wonders. Here are some adventures we experienced and our top recommendations on what to do, where to stay, dine, and how to get to this Eden-like island. 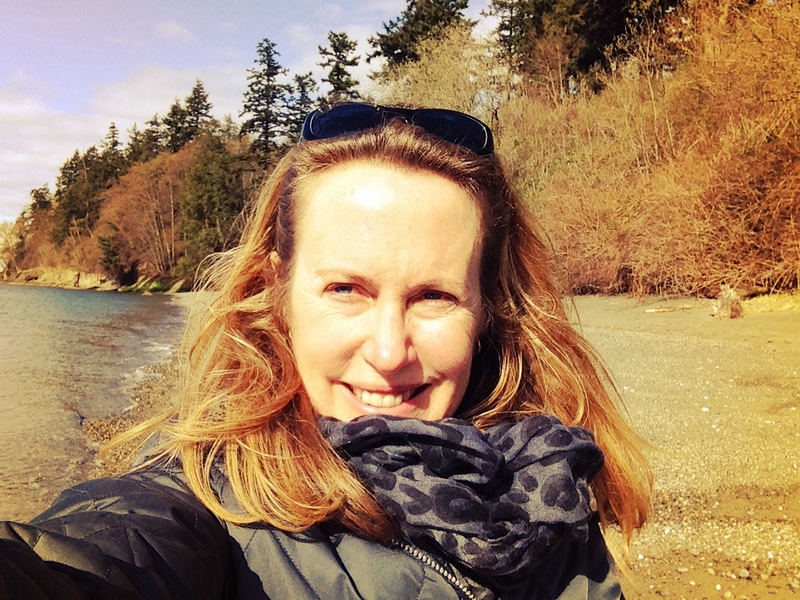 What to Do on Lummi Island? We ventured out to explore the island, and learned about the island’s history and community. We were surprised to learn that there are petroglyphs on the west shore of Lummi, and even a lavender festival in July. 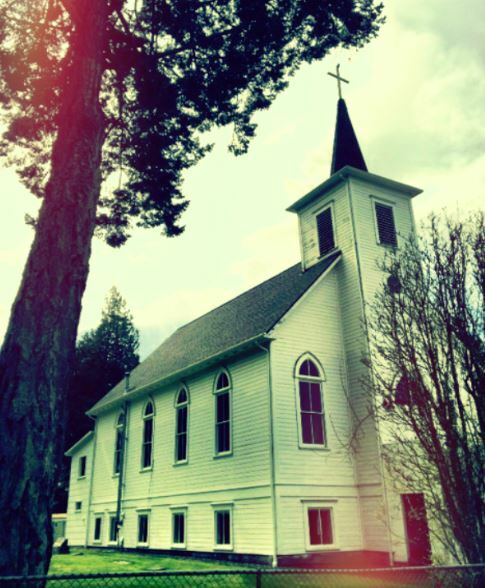 Here’s a list of our favorite 10 things to do on Lummi Island. There are quiet island roads and beaches where you can stroll, walk, or run. You’ll get to know the island, its locals, find roadside produce stands, and even see bald eagles in flight. 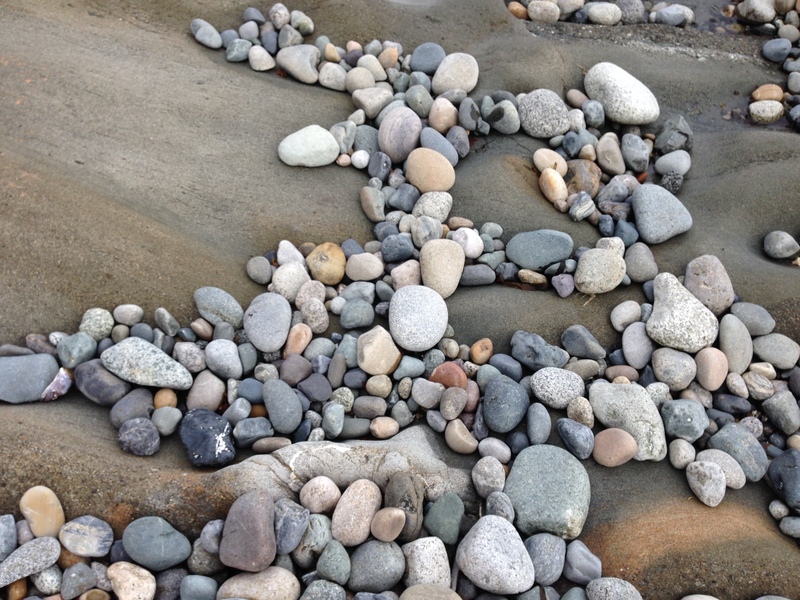 We went beachcombing on Sunset Beach and found beauty in the variety of smooth round rocks. 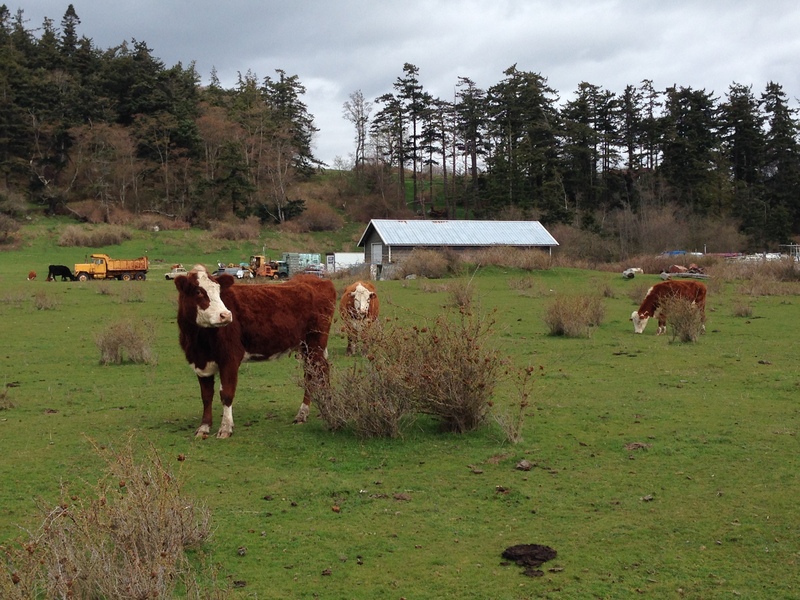 Lummi Island raises the bar for sustainable farming. During the Spring and Summer, on Saturdays, visit the Farmer’s Market in the parking lot next to the general store, and pick up some berries, apples and flowers. Or you can visit some of the island’s farms. The Willows Inn grows its produce at Loganita Farm, and offers tours of its gardens where you’ll find native plants, produce and flowers. It is so fun to see this as you travel Lummi Island! A must with any Pacific Northwest travel is whale watching! Bring or borrow some binoculars and keep a lookout for whales passing through the Rosario Strait. There are a variety of island trails throughout the Lummi island including the Otto Preserve, Curry Preserve, and the more challenging Baker Preserve Trail that takes 2 hours up to an island high point with spectacular views. 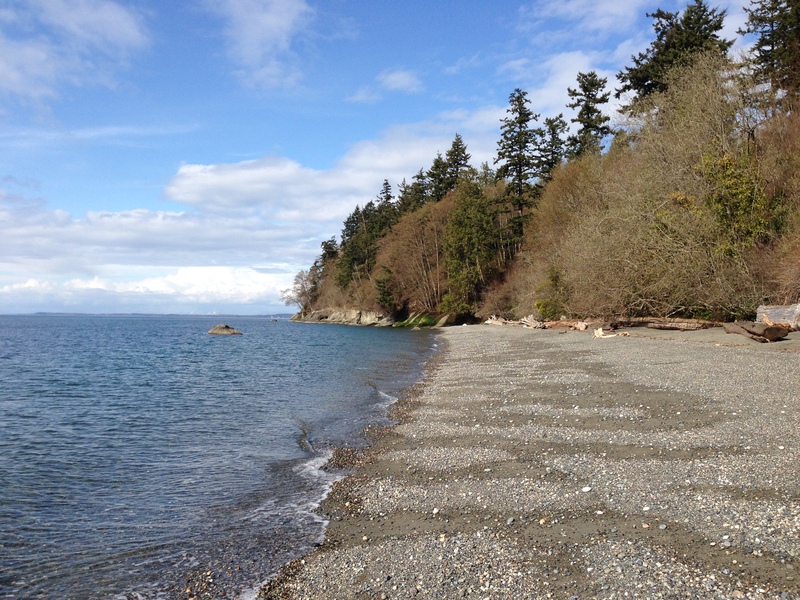 Kayak by yourself or hire a guide to take you around the rocky beaches and shorelines of Lummi Island. The Willows Inn provides bicycles to ride around the island. There are 3 mile and 9 mile routes where you can easily access the island. 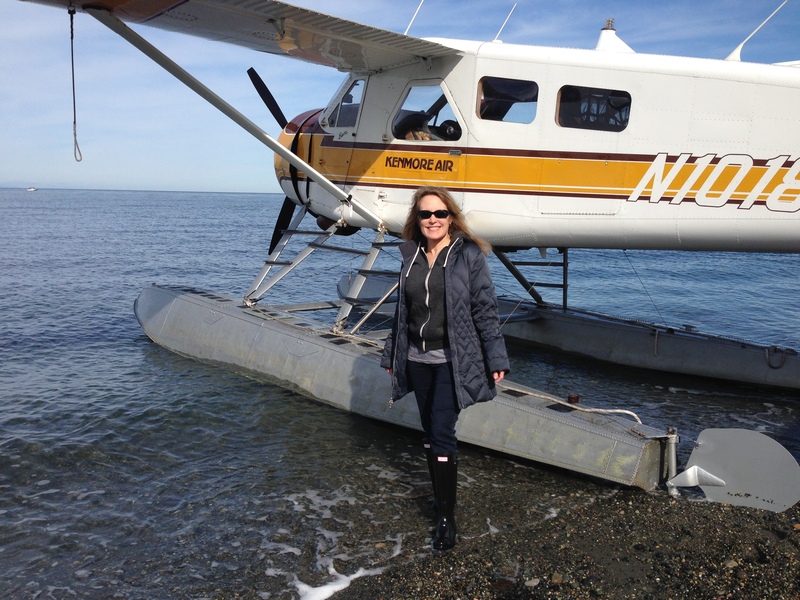 It’s such a fun way to see all of Lummi Island and get a great feel for the Pacific Northwest. Located in the woods behind the island’s historic church, you’ll find a peaceful place to meditate as you walk the labyrinth. 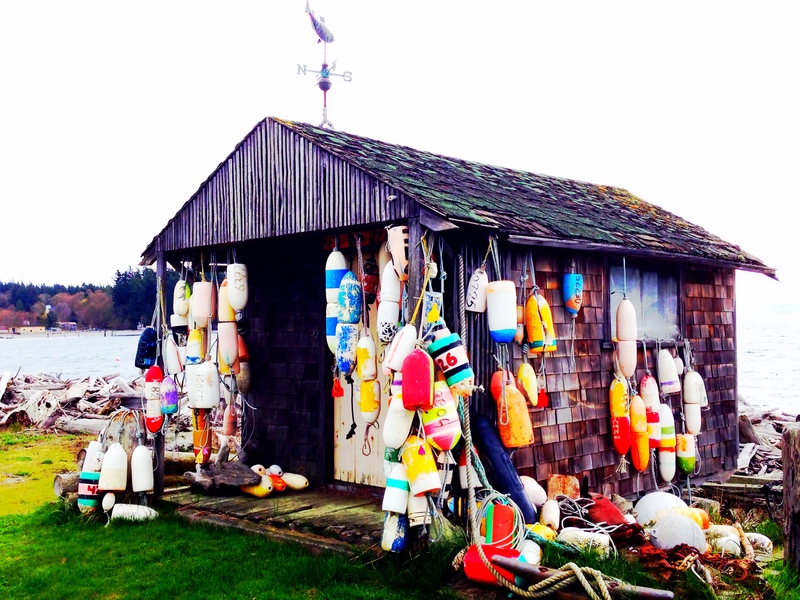 There are painters, sculptors, textile artists, furniture makers and other artists who live on Lummi Island. 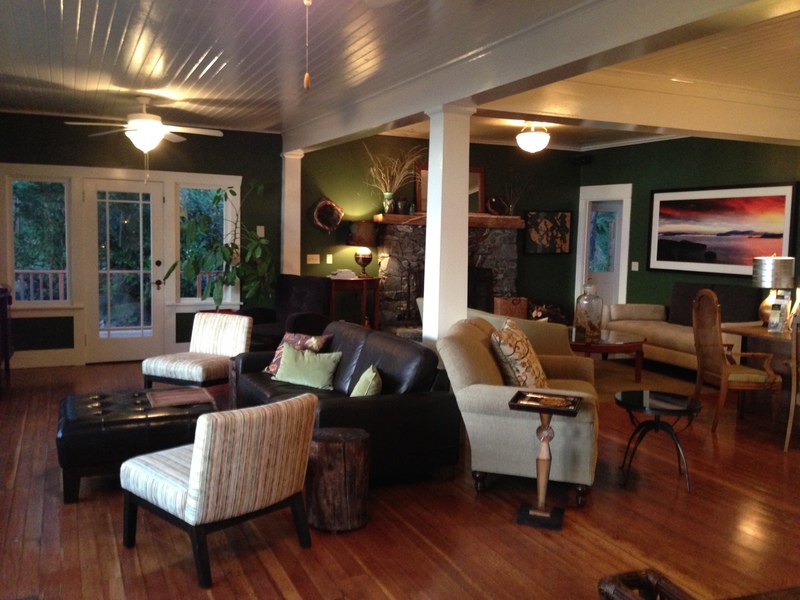 The Willows Inn can arrange for Studio visits, or you can join the artists studio tour that takes place a few times during the year. Go to Legoe Bay and see some of the Reefnet Boats that fisherman have used for centuries to catch wild salmon. This form of fishing was used by native American tribes and is one of the most sustainable ways to fish. To this day, tribal reefnet fishing is unique to this part of the world, where the salmon runs are still in the hundreds of thousands. Wild salmon usually appears on the menu at The Willows Inn Restaurant, and is some of the most succulent, fresh, tender and moist salmon we’ve ever tasted. 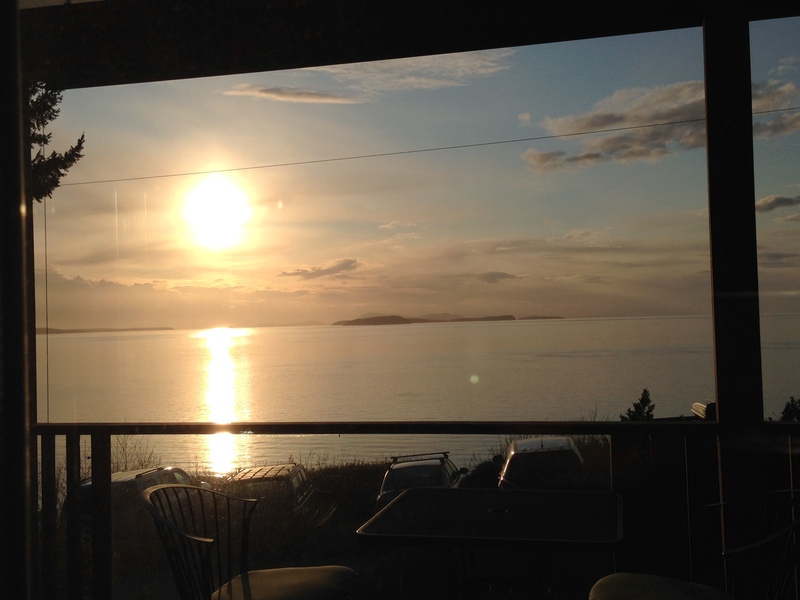 From the Willows Inn deck you can watch the sun set behind islands in the distance. 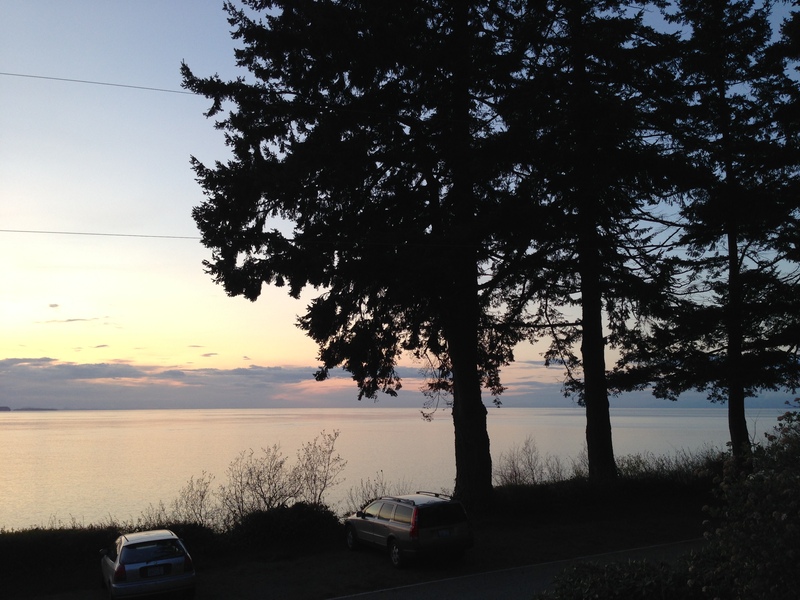 Sunsets on Lummi Island really capture the beautiful Pacific Northwest. And be sure to take some time to relax! A great way to start your stay on Lummi Island is to check into the Wellness Spa at The Willows Inn and experience a holistic session with a Sacred Sea Full Body Renewal, or Native Basalt Massage using heated stones from local beaches, or Balancing Seaweed Facial Massage. Take a nap, read a good book on the deck, in the garden, on the beach, or cozy up to a fire. You can’t leave this island without feeling fully rejuvenated! 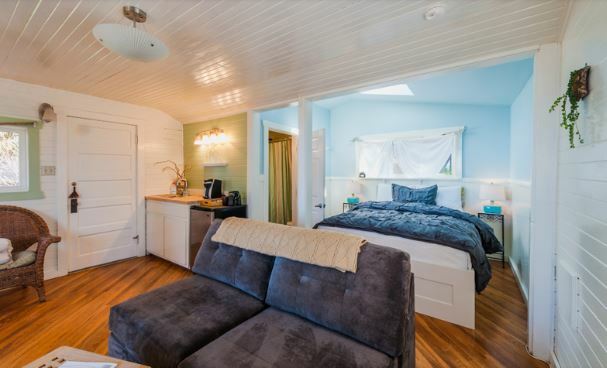 The Willows Inn only has 20 rooms, and good to book months in advance. We stayed in The Cottage, behind the main building at The Willows Inn, and watched the sun set from the deck of our bungalow while deer roamed the property. Luxury bathrobes, a gas fire stove, and a claw foot bathtub create a relaxing environment. As a guest of Willows Inn, you have priority over non-guests to book a reservation for a highly coveted seat at Willows Inn dining room. 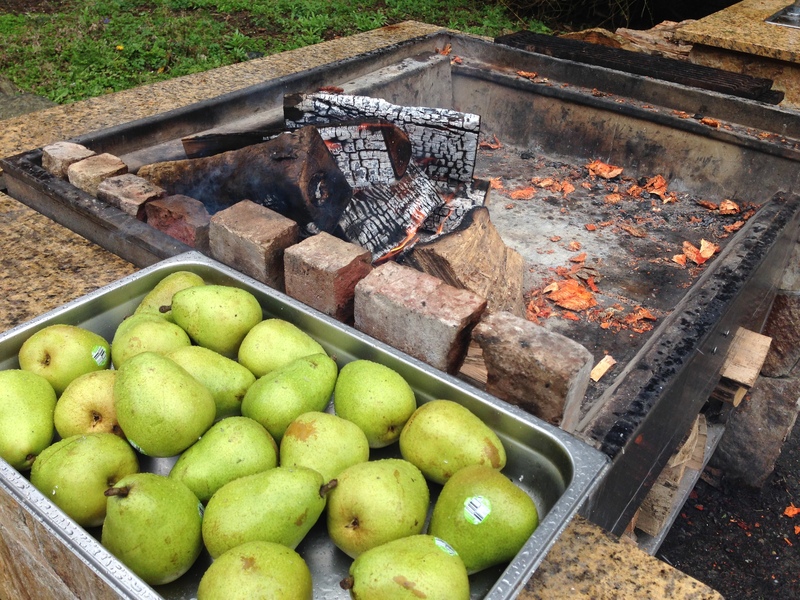 Upon our arrival, we saw smoke coming from the Grill & Smoke House, and a bowl of pears sitting next to an open fire. My curiosity drew me closer. I saw one of the sous-chefs roasting the pears above the hot embers, and asked him what he was preparing, and he said, “Cellared D’Anju Pears Grilled with Sweet Woodruff”. It was clear this dinner was going to be one sublime surprise after another, like opening a set of nesting boxes. I could hardly wait for our seating time. My first glimpse of Head Chef Blaine Wetzel was seeing him forage through the Inn’s gardens for edible flowers and herbs. Wetzel is a culinary wizard and has received accolades throughout his 20’s, including being named a Best New Chef for 2012 by Food & Wine magazine. 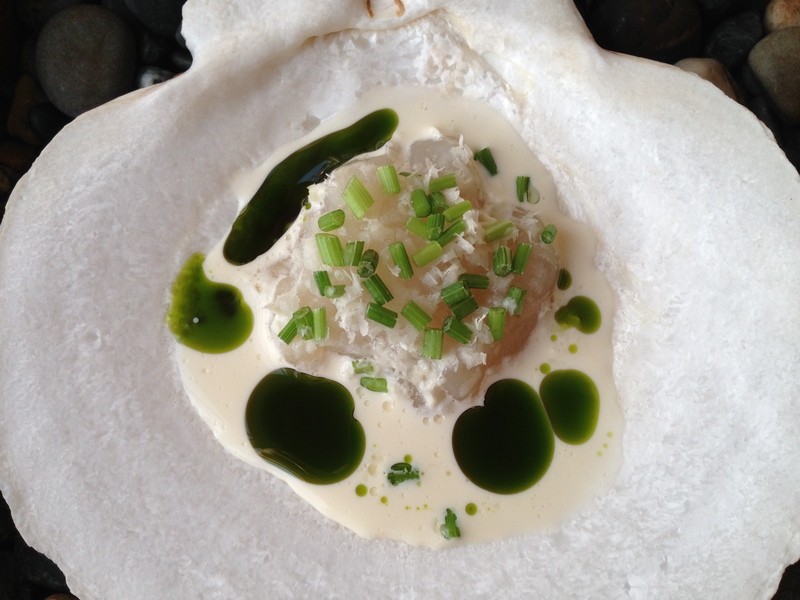 New York Times has listed his restaurant as one of the world’s 10 restaurants worth a plane ride. Chef Wetzel has been named a semifinalists for the fourth straight year for the James Beard Rising Star Award (chefs under age 30). 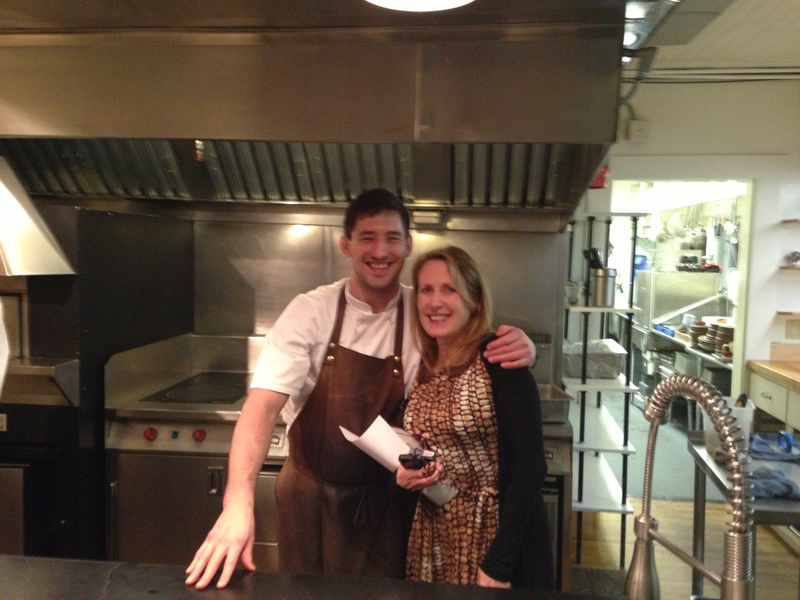 He has brought fame to The Willows Inn & Restaurant. 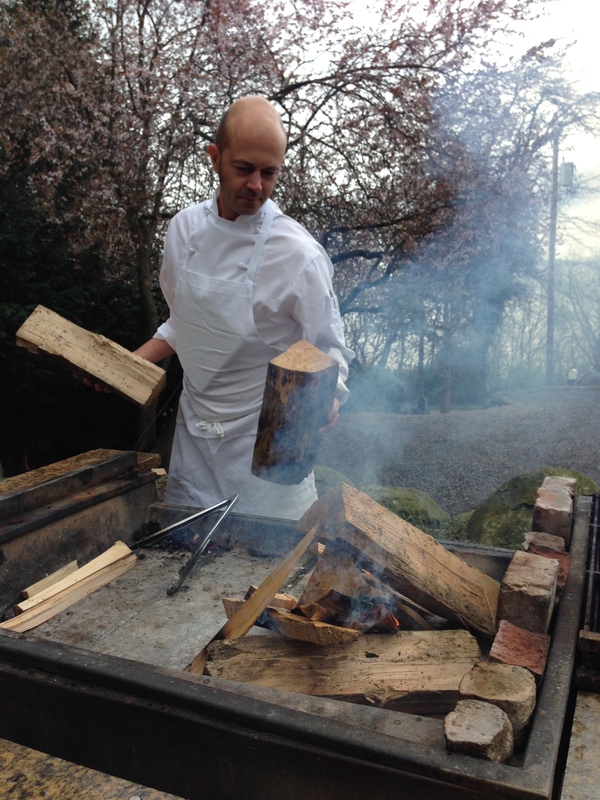 In fact, Bon Appetit named The Willows Inn on Lummi Island No. 3 among Food Lover’s Hotels in the U.S.
You can see the photos of the amuse-bouche (bite-sized hors d’œuvres, the “Opening Act”! ), and Courses on Pinterest: http://goo.gl/yAVSOg Blaine and his staff serve culinary wonders every Thursday-Sunday by reservation only. Seating takes place at 6:30 p.m.
Once you make an online booking at the Inn, they will contact you within 24 hours to confirm your table for dinner. They take dinner-only reservations by telephone (888.294.2620 toll-free, or 360.758.2233) no sooner than 2 weeks from your requested date. 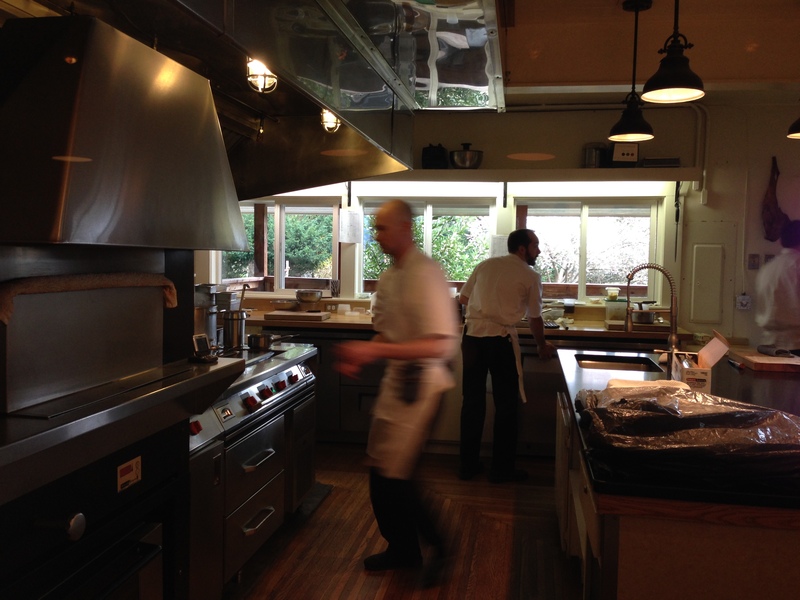 Downstairs from The Willows Inn, is the Tap Root Café with a locally-sourced menu available each day. Some of the island’s best espressos are found here! Also, you can find sweet & savory dishes – delicious sandwiches, wraps & homemade desserts. We enjoyed shopping at the farm store in the café that showcases an array of local products and goods. 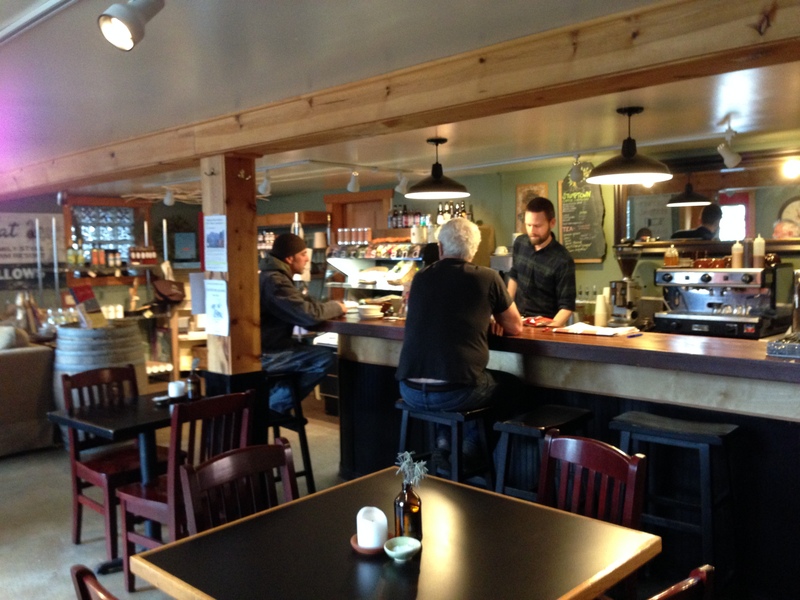 Lummi’s Beach Store Café sits on the waterfront near the ferry landing and serves breakfast, lunch and dinner. 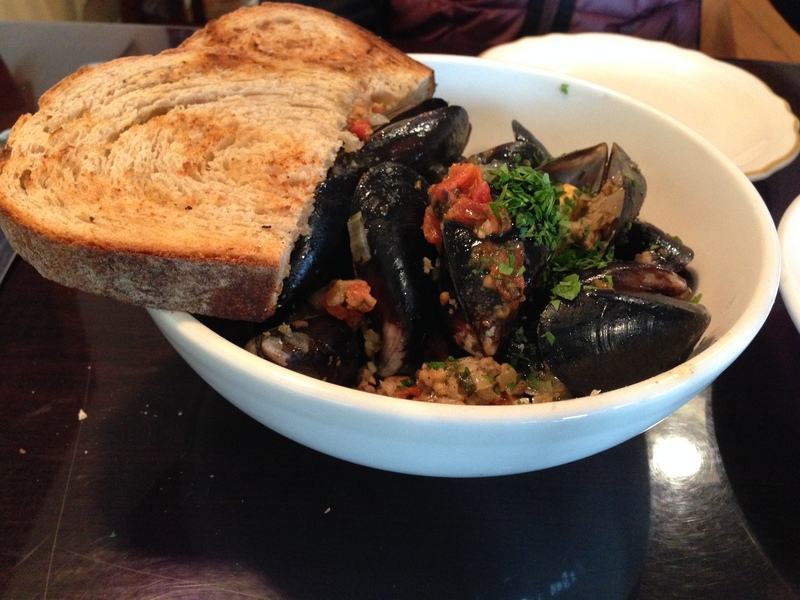 We devoured a bowl of fresh and flavorful mussels sautéed in garlic, dried tomatoes and fennel sausage, then deglazed with white wine. 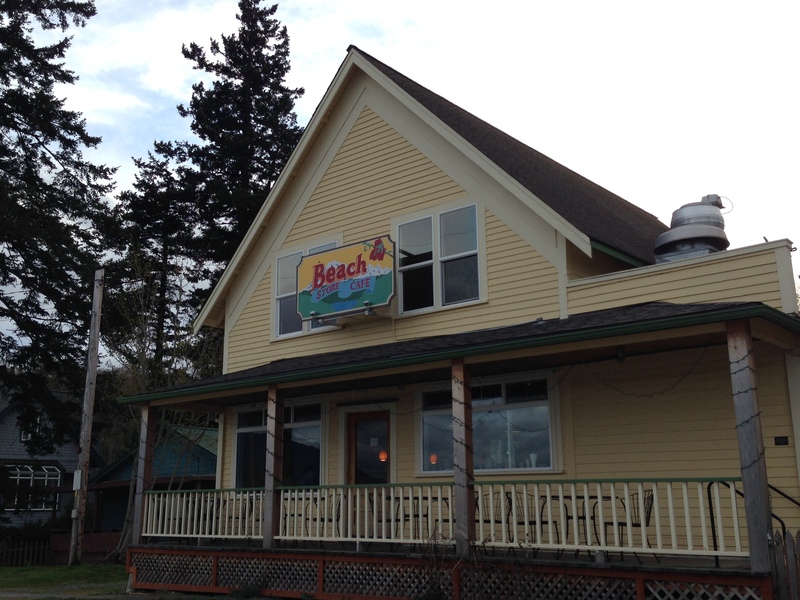 Visit the Beach Store Cafe website for current hours and menus, and featured Friday night live music. 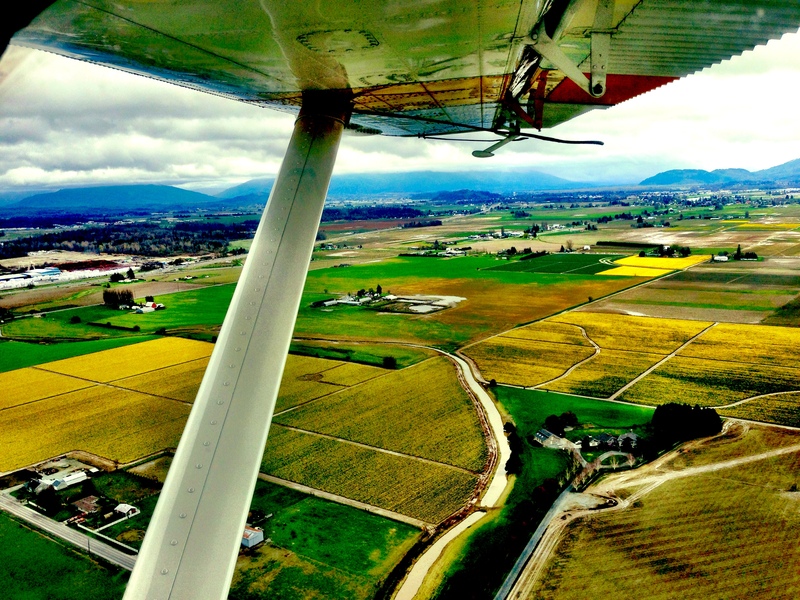 Kenmore Air – we recommend flying Kenmore Air to get an aerial orientation of the Pacific Northwest and unforgettable scenic tour. 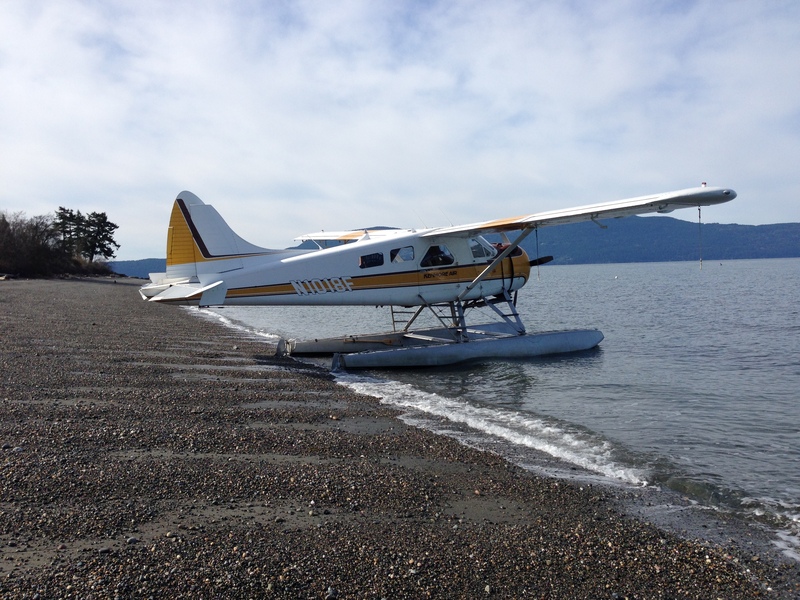 Less than a 1 hour flight from Lake Union in Seattle to Sunset Beach on Lummi Island, you’ll fly over the San Juan Islands, and might even sight a whale, sea lions and other marine life along the way! We didn’t have to bother with traffic or ferry schedules, and got to our destination quickly. It’s a safe, quick and stress-free way to get to any Pacific Northwest destination. 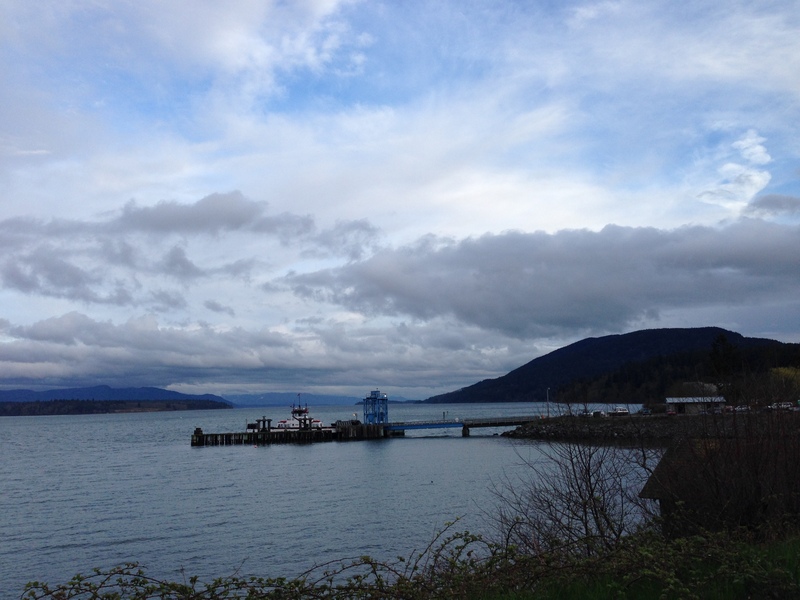 Travel Acknowledgments: we would like to thank Willows Inn on Lummi Island and Kenmore Air for hosting our stay.